Ouzo VETO and… we do enjoy more! When, in 1892, Georgios Spentzas from Pergamοn in Asia Minor, was initiated in the secrets of distillation, thanks to a special Sultan’s firman, little did he expect that his personal fancy would turn into a passion to be handed down from father to son in the years to come. Nowadays, Ouzo Veto still boasts the dense body that justifies its exceptional and unique taste. Its “seafaring” character is embodied in its rich, balanced, light and sweet scent with that special lasting intense aftertaste. 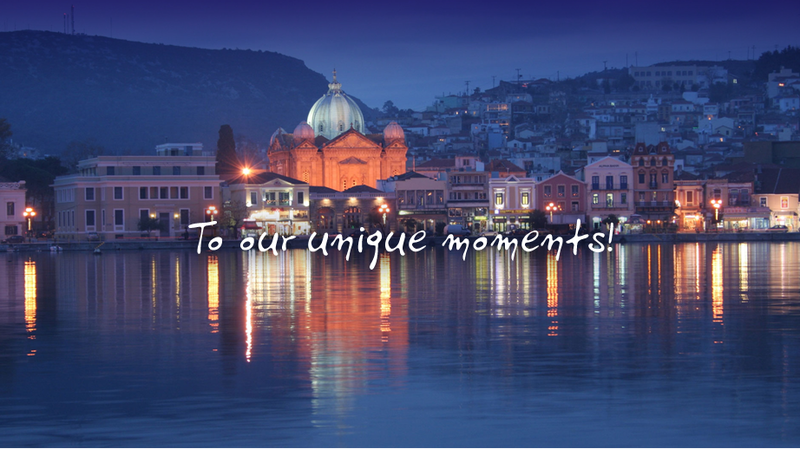 From then to now, thanks to our dedication and responsibility, Ouzo Veto has been the expression of the genuine art of Mytilene’s traditional ouzo production. 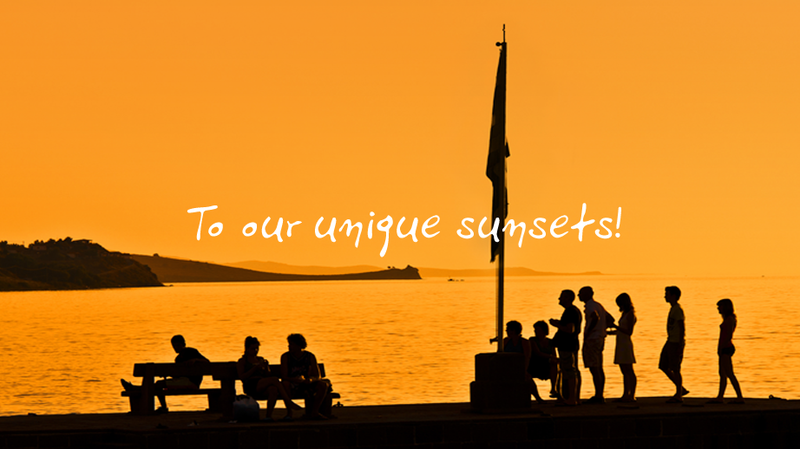 to our unique journeys, to our unique sunsets, to our unique moments! Spentza’s distillery was founded in 1892 in Pergamon, Asia Minor by Giorgis Spentzas (1st generation) and was later continued by Dimitrios Spentzas (2nd generation) in 1948, under the name “Mytilene’s Ouzo VETO” in Mytilene, Lesvos. In 2004, Giorgos Spentzas (3rd generation), inspired by the fundamental principles of quality, consistency, innovation and the passion for progress and growth, was granted, for the very first time, official permission by the State Chemical Laboratory to bottle and market Ouzo in metal containers. In 2013 his son, Dimitris Spentzas, building upon the legacy of his forefathers, stepped in to preserve tradition on the basis of innovative ideas and with a spirit of renewal. All the packaging was redesigned and the product range was enhanced with the 100% distillate. In 2014 the product range was enriched with an authentic, premium, 100% distilled Ouzo under the name Ouzo “SPENTZA”, which caters for those in search of a more refined flavor. Acting with dedication and passion, Spentzas’ distillery has, throughout the years, adopted modern methods and values in the production process, with a view to constantly offering the best products on the Greek and global market. To our unique moments, our unique evenings together, to our unique journeys. 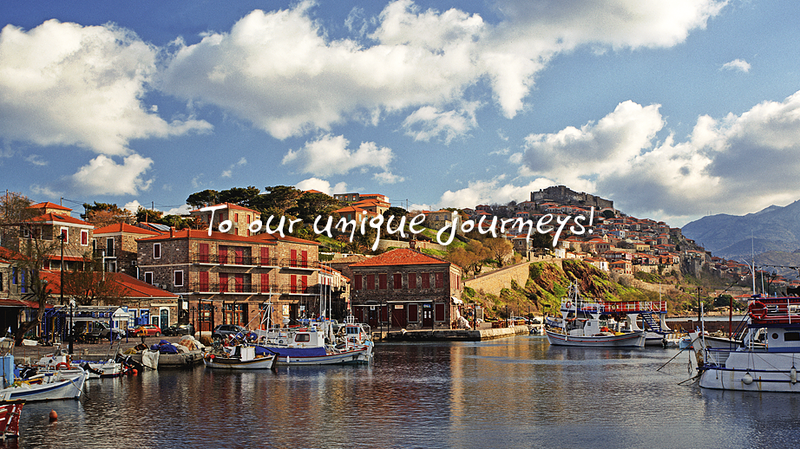 Visitors to Mytilene soon realize that this island is “paradise on earth” from the point of view of gastronomy. Generally, local dishes are a harmonious combination of Eastern cuisine and Western influences, whose outcome would be a shame not to taste. The real and authentic “meze”, the selection of various small dishes at the center of the table, the taste particularities, the aroma of raw materials, the local oil, ouzo and wine constitute essential features of the gastronomic landscape of the island. All the above demonstrate in practice that the “art of eating and drinking” is for this island and its people an integral part of the “art of living”. It can be considered the most typical smell of the island. Thanks to a wide range of labels and tastes (since the 30s more than 30-40 small and large producers have been active on the island), there is an ouzo variety capable of seducing each and every visitor to the island. Apart from being the typical drink of Lesvos, ouzo is an integral part of a culture of communication and companionship, to be widely felt everywhere in Mytilene and all over the island. We shall be glad to welcome you to our shop in Mytilene, invite you to a courtesy tasting of our excellent ouzo, talk about it and about its history and guide you all around the plant in which it is produced.